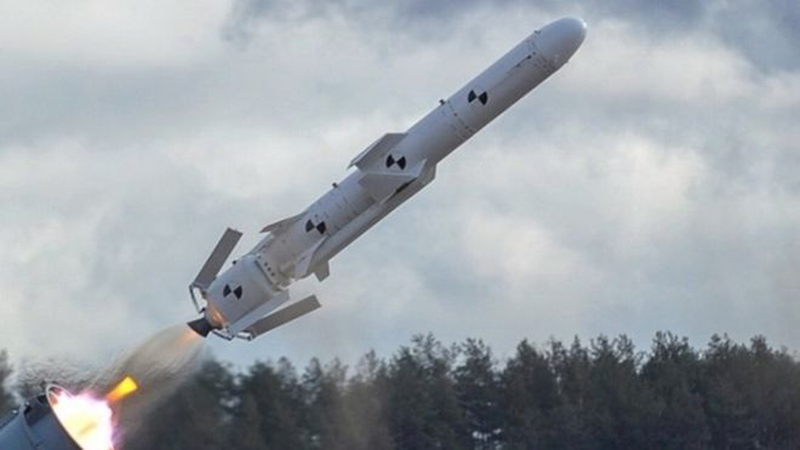 UkrOboronProm (UOP), the head organization of the Ukrainian defense industry companies, has announced that the country has successfully conducted a trial launch of the new Neptun cruise missile. Developed by the lead contractor, the State Kiev Design Bureau "Luch," the cruise missile hit a maritime target at a distance of 100 km (62 miles). The principal supporting contractors are Motor Sich (engine), Radioniks (guidance), and the Kharkiv Aviation Factory (airframe). “We continue to strengthen the defense capabilities of our armed forces,” Ukrainian president Petro Poroshenko commented on the national news. It is worth noting that in 2018, tension between units of the Russian Black Sea navy and the Ukrainian naval forces dramatically increased. Russia accused Ukraine of seizing its ships, which Kiev strongly denied. Completing the bridge that connects Kerch on the Crimea Peninsula with the Russian mainland also heightened tension in the region. Russia deployed additional naval assets to the Black Sea, as did NATO countries responding to the threat. As regards Neptun, it is a subsonic weapon developed to hit maritime targets, but can also be deployed against land targets, said Ukrainian defense expert Serhiy Sguretz. "The trajectory is standard for a cruise missile, the cruising flight altitude is 10 to 30 meters (33 to 100 feet), and in the final approach phase, it descends to four to five meters. The missile is equipped with a high-explosive fragmentation warhead. Guidance system details have not been published, but it is capable of hitting different targets, including enemy radar stations. When attacking maritime targets, Neptun has a range of approximately 280 km, increasing to 300 km when launched against land targets. "With a little help, it could fly up to Moscow,” added Sguretz. The cruise missile is scheduled to be built in three different versions—sea-launched, land-launched, and air-launched—targeting sea and land objects. A picture published by the RNBO shows that the Neptun's mobile transporter-erector-launcher (TEL) has some similarity to that of the S-300 Soviet/Russian air defense system. Neptun could be integrated onto not only the Ukrainian air force’s Soviet/Russian aircraft but on some NATO aircraft. There is no information on scheduling serial production. Anonymous Ukrainian sources told AIN that some components, as well as help to build the Neptun, came from “friendly countries,” but declined to elaborate. Neptun, as well as the Korshun-2 cruise missile development of which was completed in 2014 (developed and manufactured by the South-Pivdenne-Design Bureau), is part of the Ukrainian Missile Shield program that was launched after the 2014 Russian occupation of the Crimea.